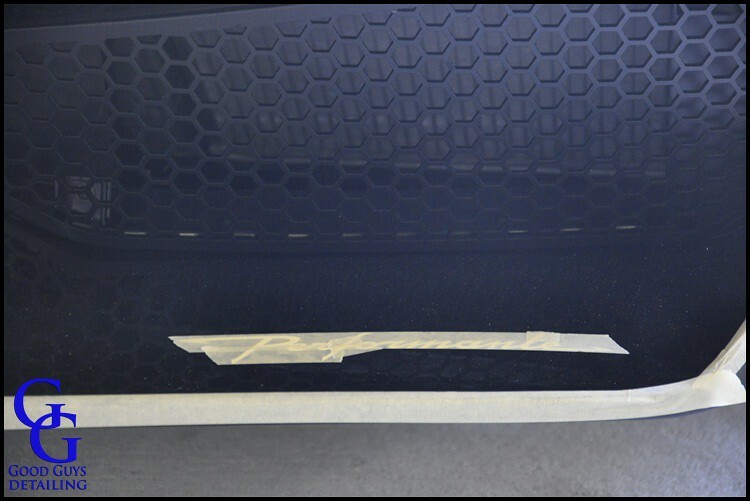 Whether you are polishing by hand or polishing with a machine it is very important that you tape off certain sections of your car, especially when using a machine. 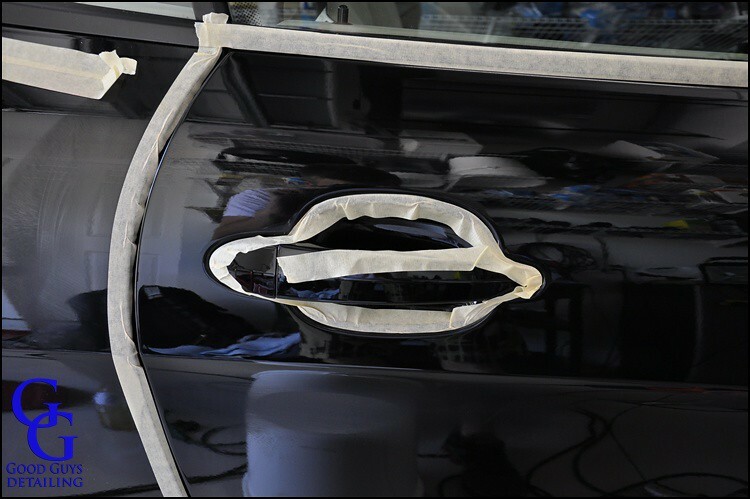 Taping off a car can sometimes be very time consuming but if you take the extra time to do it, it will save you time and money in the end. Meguiar’s makes some great Professional Masking Tape that gets the job done but doesn’t leave behind a lot of tape residue. It also comes in various widths depending on the size of the area you want to tape off. You can use any kind of tape but some just aren’t as adhesive as they should be and others leave a lot of tape residue which can be time consuming to clean up. A general rule of thumb is that you want to tape off anything that you don’t want your buffer to touch. Buffers, when running, can cause damage to anything they touch. Taping off certain areas will ensure that you don’t make a mistake and hit something with your buffer that you didn’t intend to. Along with providing safety, taping can save you a lot of clean-up time by preventing compounding/polishing dust from settling in cracks and crevices. Here are some things you will want to tape off before starting and while you are buffing. 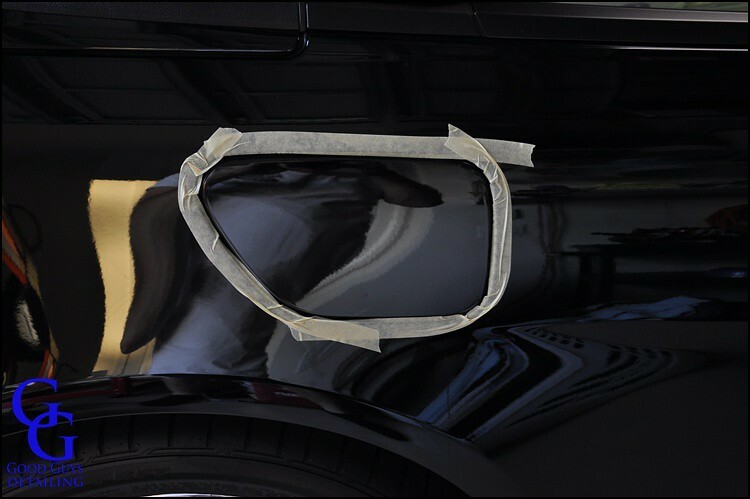 Taping off emblems, badges, and tail lights will protect them from your buffer. It will also save you a lot of time when you are cleaning up by preventing compound/polish dust from getting into the cracks around the letters and tail lights. 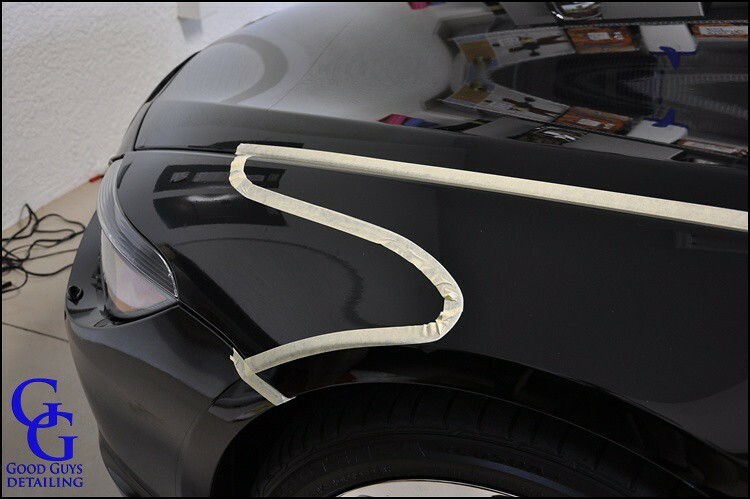 Taping off any rubber seals will prevent damage from your buffer and also prevent discoloring from various products. 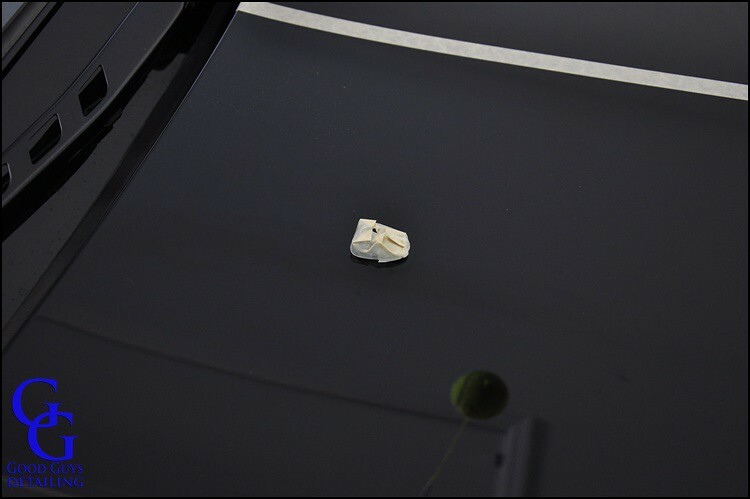 Plastic trim pieces, just like rubber, can discolor from various products. Taping them off will prevent this. It will also save you from having to clean off compounding/polishing dust that will settle on the plastic. Taping off the door handles and mirrors is a must. 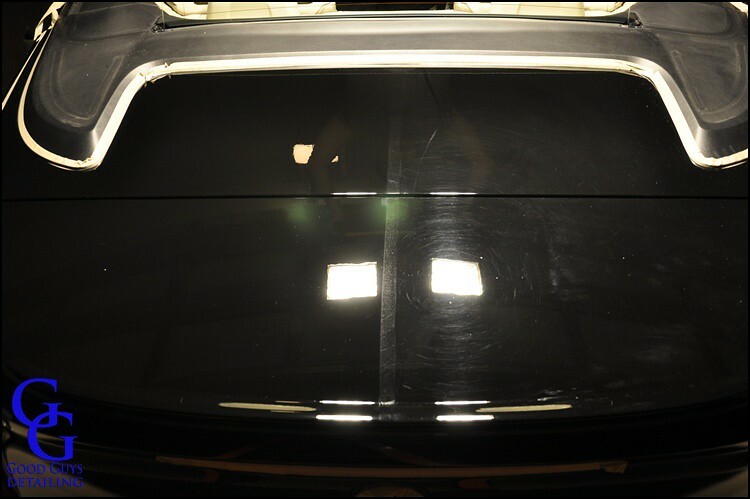 This will prevent any damage from your buffer rubbing against them while polishing the panel around them. Most washer fluid dispensers are made of plastic, taping them off will prevent damage and discoloring. Taping off the edges of the panels around the area you are working on will help prevent these edges from being burnt from your buffer. As you can see from the picture I taped off the panel that surrounded the gas cap. When I go to polish the rear quarter panel I will then tape off the edges of the gas cap. This is a good idea to do with any panel you are working on. 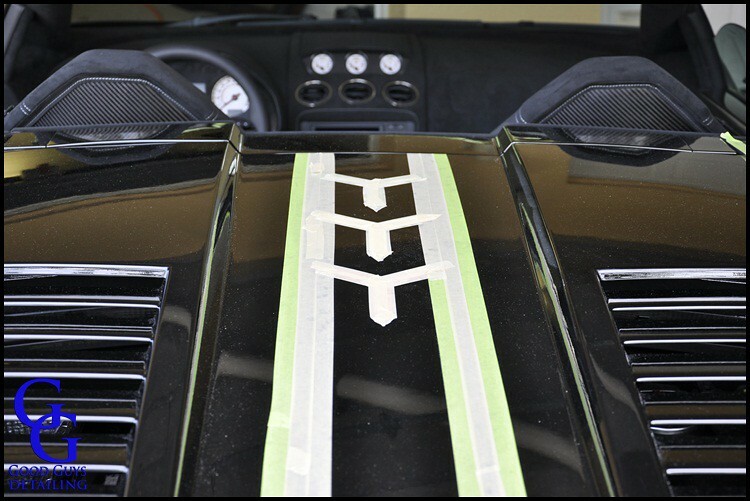 Clear bra material and decals can be damaged or discolored if you go over it while buffing. Tape over the clear bra or decals edge to prevent this. Some curves can be tricky like on the BMW 645 above but just take your time. The edges of most clear bras are a little sticky from the glue that holds the material to the car, so taping over them will help prevent any compounding/polishing dust from sticking to this glue. Notice in the picture above I also taped the edge of the hood and edge of the bumper to work on this front fender. When you are taping make sure you press the tape down firmly with your finger. This will make sure the tape doesn’t come up while you are buffing. If it does then you can cause damage to the area you taped off and you can get tape residue on your buffing pad which will spread it around the panel. Its also a good idea to remove any tape when you are done working on that section. If you let the tape sit for a while it can leave tape residue behind when you take it off like in the picture above. If this does happen it can easily be removed using an All Purpose Microfiber Towel and some Meguiar’s All Purpose Cleaner (diluted of course). 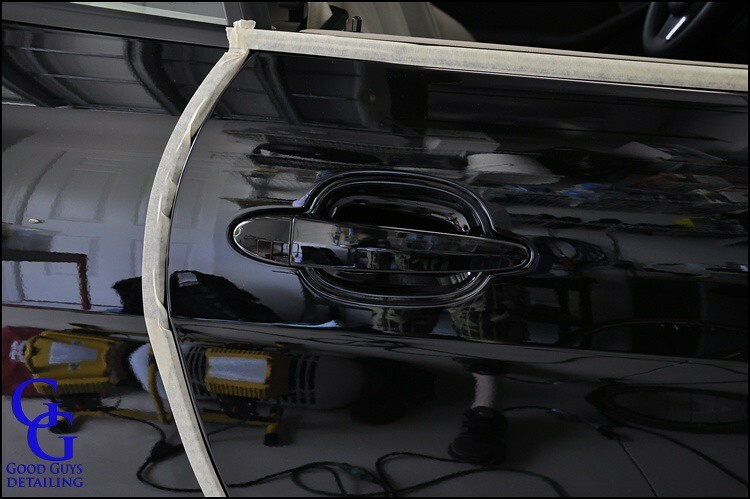 Tip: Be careful when removing tape from painted edges or chrome trim pieces. If there is any damage or age to these pieces it could potentialy remove some of the paint and/or chrome. If you are worried about an area, run your tape across your shirt before you put it on to reduce the stickiness. Hope this article is helpful and as always, thanks for reading. Awesome! Nothing worse than removing compund from cracks and trim. I also tape as much trim to prevent the pad from hitting it. Great article. I’ve noticed on various detailers write ups that they sometimes use green tape on one area and then blue on another part of the car. Is there a reason for that? 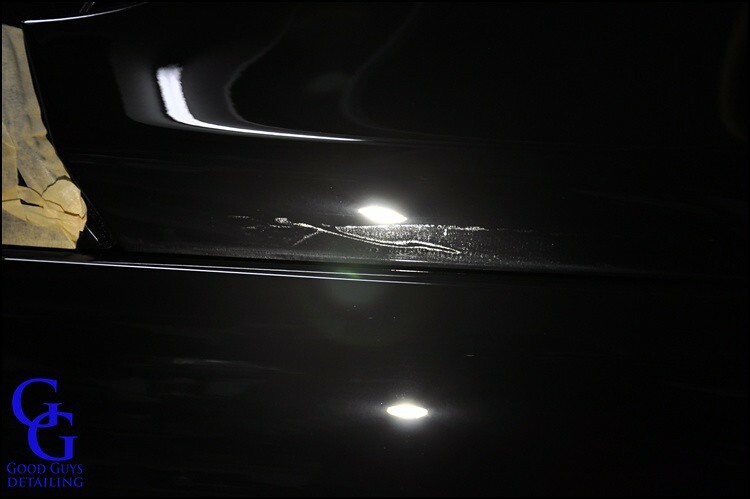 Using a tennis ball or fluorescent panel allows you to see any imperfections or bits you have missed same applies to paintless dent removal. Great article. 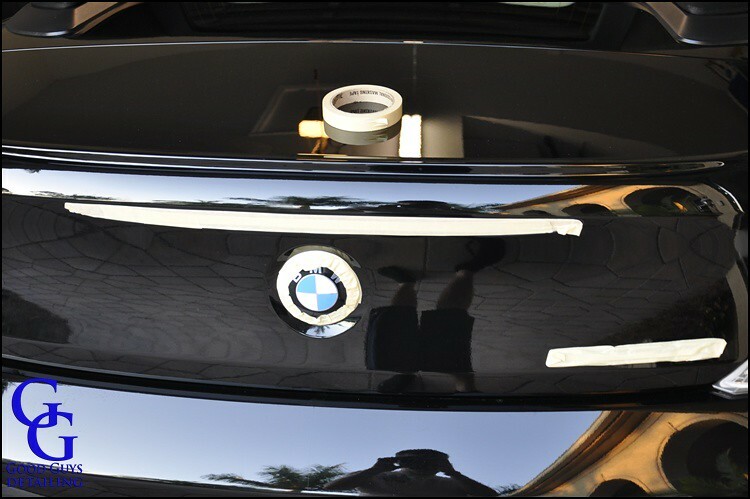 I’m getting ready to do my first paint correction on a jet black 2011 BMW 335i I just bought. The hood has several ridges on it that I’m concerned about as they are high points. Do I need to tape these? It’s in fact very complex in this busy life to listen news on TV, thus I only use world wide web for that reason, and take the newest news.